Fremont has a completely different feel than downtown Seattle. 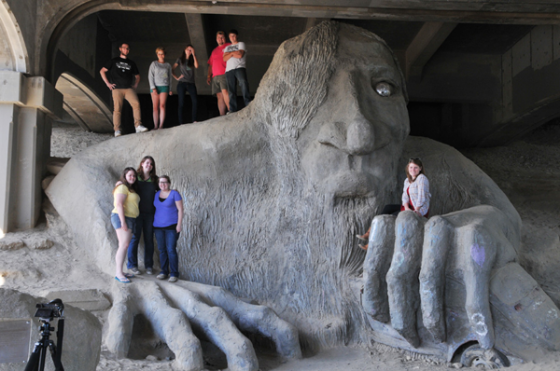 Where else can you see an 18-foot troll or a statue of Vladimir Lenin from the communist era? We drive through Fremont every day on our tour, and there is always so much happening, and it has a nice positive vibe to it. Today there is a mix of high tech companies from Adobe, Geocaching. com to Google, but this wasn’t always the case. 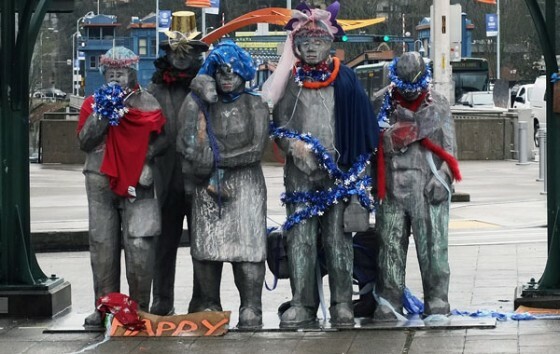 Fremont becomes the “Center of the Universe” for many artists and the counterculture. Many events happen in Fremont including the Zombie Walk, the almost free outdoor movies, Farmers Market, and infamous Summer Solstice Parade. Though its a bit of a walk up Fremont Avenue, Paseo is the one restaurant, you don’t want to miss if you love Cuban and Caribbean style sandwiches. This is probably the best sandwich you will ever experience. Theo Chocolate is a local favorite and where else can you get a taste of free chocolates when you travel. 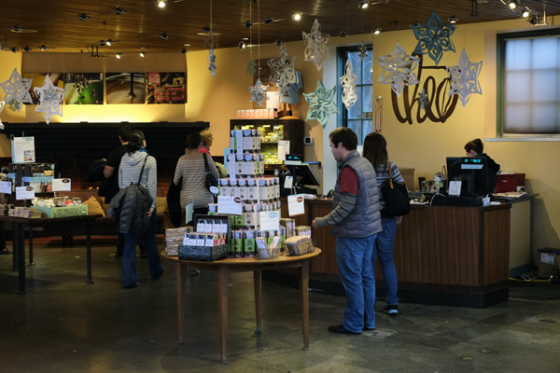 This is a must stop for us, and our customers appreciate having the opportunity to taste chocolate from the first Fair Trade and Organic chocolate factory in America. They also have hour-long factory tours daily. 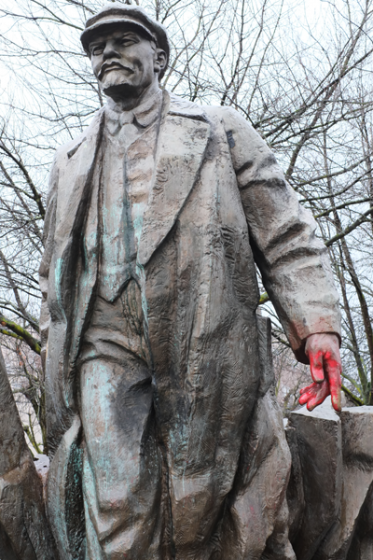 The Lenin Statue is something that most people think is out of place for Seattle, but we think it fits in perfectly in Fremont from an artistic standpoint. Brought to Seattle from its original home in Poprad, Slovakia. This 7-ton bronze statue was saved from being melted down by Lewis Carpenter. He was an English teacher who wanted it to be the centerpiece of a Slovakian restaurant he wanted to start in Seattle. Sadly he was unable to do as he was killed in a car wreck in 1994, leaving this statue to his children. Unable to sell it, it rests in the “Center of the Universe” now, still waiting for a buyer. Asking price $300,000. Another oddity in Fremont is the 1950’s Soviet-style rocket on the side of a building. The Fremont Rocket originally came from an army surplus store that was being torn down in Seattle. 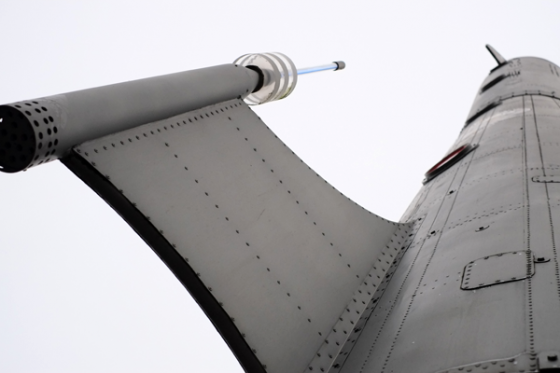 Though the rocket has had some modifications and the fins have neon tubes and look more like a cartoonish modification, it will still grab your attention. You don’t want to miss the 18’ high troll who lives under the Aurora bridge located on Troll Avenue. This is just a few blocks from the main part of Fremont and is an easy walk. There are many more curiosities to see in Fremont and walking guides are available throughout the area . You can download one here. Take our tour so you can see these an many sights in the city. This entry was posted in Seattle Info, Tours and tagged Fremont Rocket Seattle, Fremont troll, Lenin Statue, Neighborhood, theo chocolate. Bookmark the permalink.